Quality management is BLD Pharm core advantage. We insure that each product meets the highest quality standard and strictly follows the customer requirements. Guarantee the quality of each batch in conformity with the client requirements is obtained by focusing on staff training, by improving testing techniques and ensuring continuous quality control in all stages of the process. BLD Pharm has obtained the Swiss General Standard (SGS) ISO9001:2008 international quality system certification and all our business activities are in strict compliance with the international quality management standard. A detailed inspection report is furnished for each batch containing the following information: batch number, product characteristics, purity, production date, expiration date, storage conditions and data analysis. Certificate of Analysis (CoA) is provided for each product. 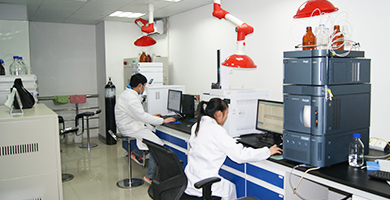 If you have any concern about the quality of our products, please contact our QC department:qc@bldpharm.com.